Good morning stampy friends! 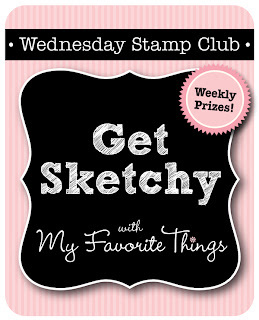 Things are going to get even sweeter for the Sweet Sunday Sketch Challenge gang next week - yep! 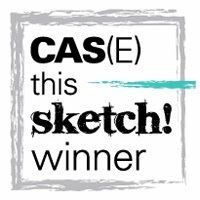 I have a fun announcement. Are you ready?? 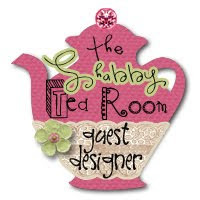 Two fabulous crafters are joining our team and I hope you will give them a warm welcome. We are all so excited to have these insanely talented ladies join us! First, please welcome Jodi Collins! 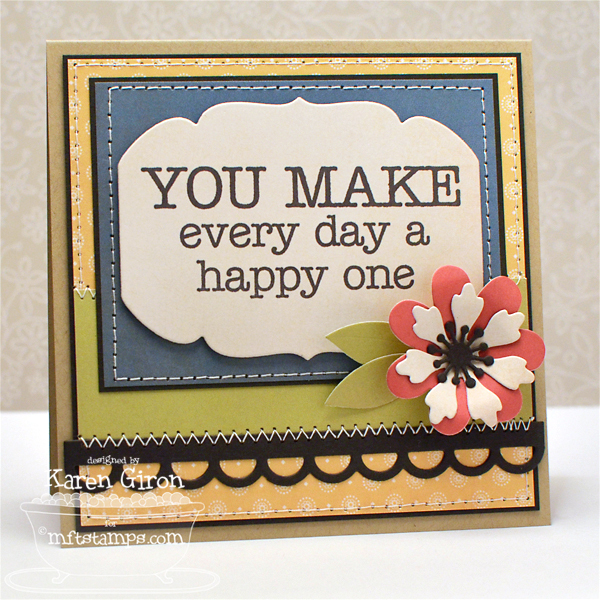 I've been a huge fan of Jodi's work ever since I first laid eyes on her cards at Splicoaststampers. Her sweet style always brings a smile to my day and I am in awe of her fantastic coloring with Copics. AND, please welcome Lisa Henke! 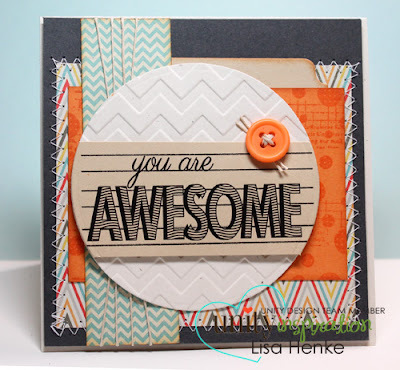 I have loved getting to know Lisa through the MFT design team and I totally adore her cards - the way she layers patterned paper and different textures is always so stunning! 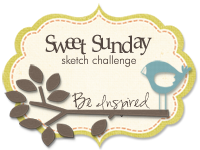 I am beyond thrilled that these sweet crafters will be joining the team and I cannot wait to see what they create with the Sweet Sunday Sketches. 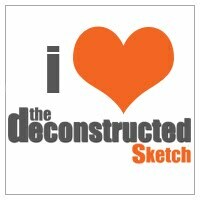 See you back soon for the next sketch! Thanks so much for stopping by! 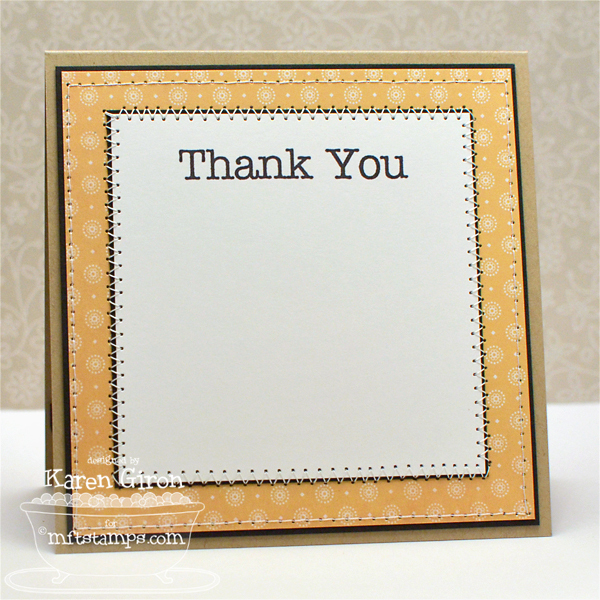 I love this Heirloom Label Die-namics for big, bold sentiments and this one from Complimentary Greetings is stamped in Black Licorice Ink on some Traditions 6x6 paper from Carta Bella. 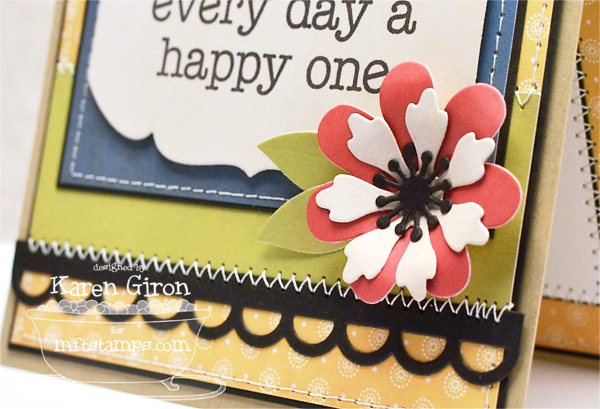 I used the same paper to create the Prima Donna Petals Die-namics flower and the added a Little Open Scallop Strip Die-namics in Black Licorice Card Stock along the edge of the panel. 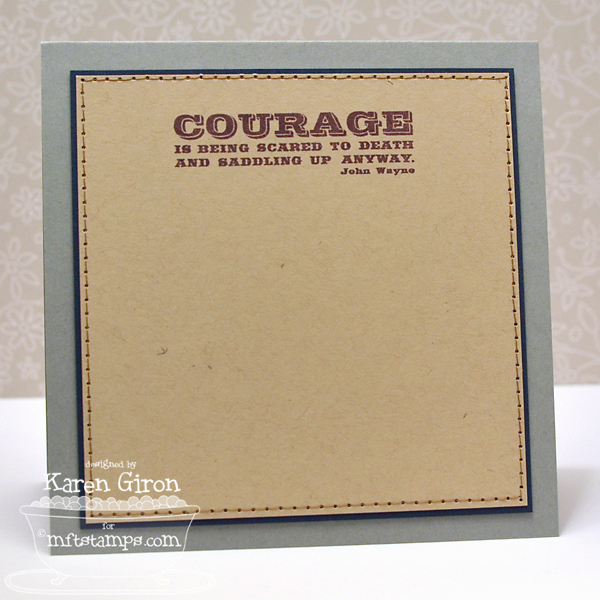 I grabbed my Big Greetings stamp set to stamp another sentiment inside the card. Be sure to stop by the MFT Blog for a complete list of all designers playing along in this week's Stamp Club. Hello, hello! 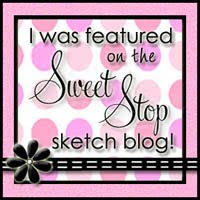 It's time for the June Creative Challenge from My Favorite Things! 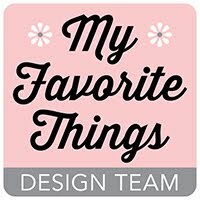 The MFT Design Team Creative Challenge is a monthly feature, where we are challenged to explore our creative side using a specific theme, product, or technique. Are the men in your life tired of cards with lots of flowers and bling? 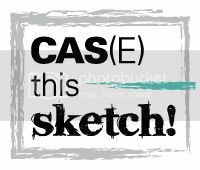 Does the thought of making a masculine card send you into a panic? If you've answered yes to either of these questions, we've got a special treat for you. This month, we've challenged the design team to create cards and projects for the men in their lives. I made a couple of cards for this challenge and they look very different from each other. 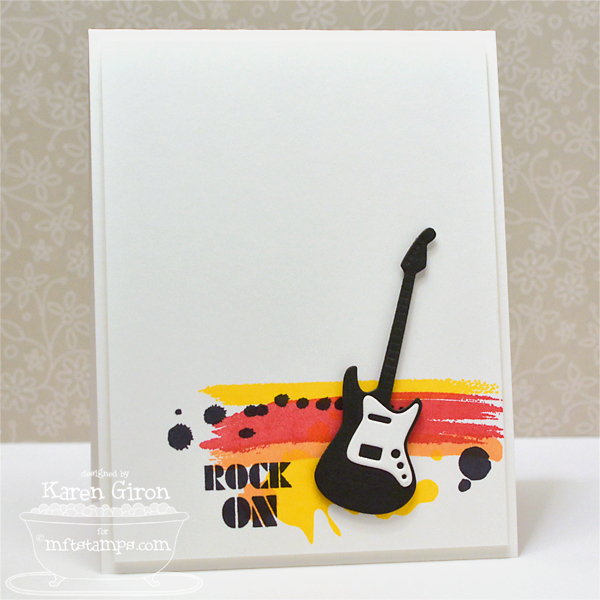 My first card is a very clean and simple, graphic style card using Abstract Art and LLD Document It - Rock On stamps. I started by stamping the brush stroke images from Abstract Art in Electric Red, Orange Fizz, and Lemon Drop Ink on Smooth White Card Stock and then added a few of the splatter images in the same colors and added Black Licorice Ink. 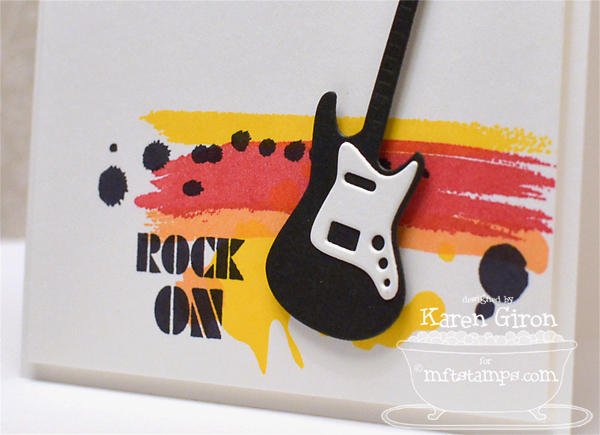 The guitar is from the LLD Accent It - Rock and Roll Die-namics set and I cut it out using Black Licorice and Smooth White Card Stock. 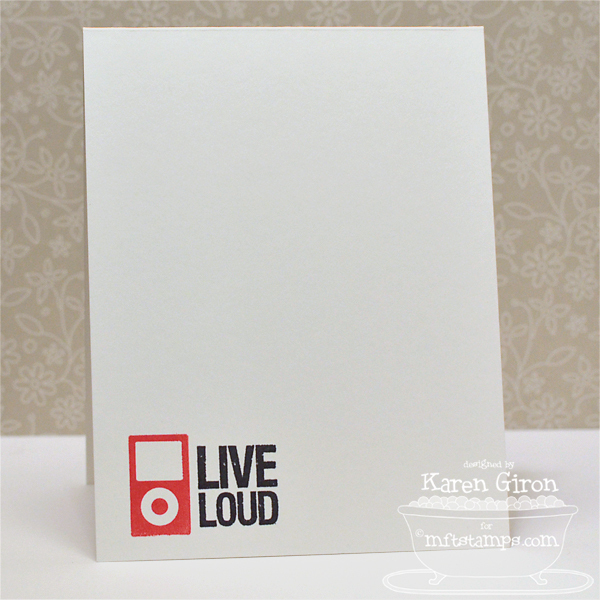 I stamped a couple images on the inside of the card, keeping it very simple. My next card is fairly simple, although I did add more layers and stitching. 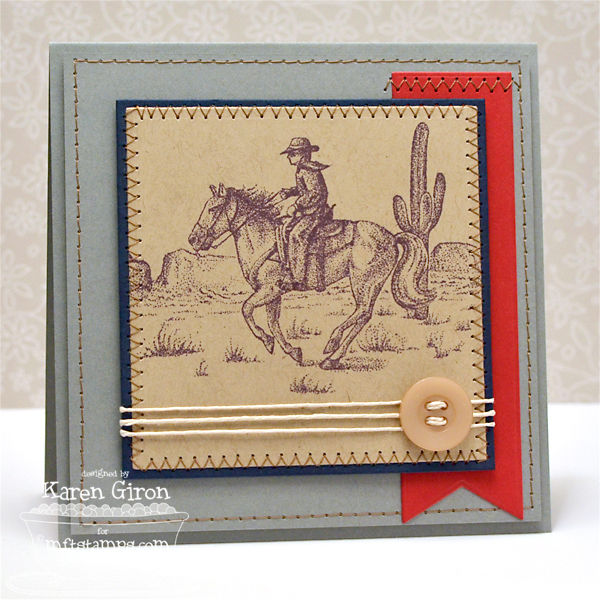 For this card I used Inspired by the Wild Wild West and stamped this fantastic image in Hot Fudge Ink on Kraft Card Stock and just let it be. No coloring. I cut it out with a Square STAX Die-namics and then added some zigzag stitching with brown thread. I added some Hemp Cord and a Kraft Button along the bottom of the image. 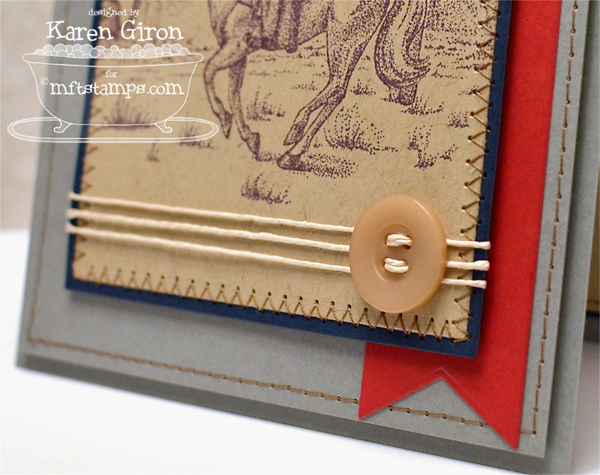 I placed the sentiment inside the card and added the same thread along the edges of the panel. 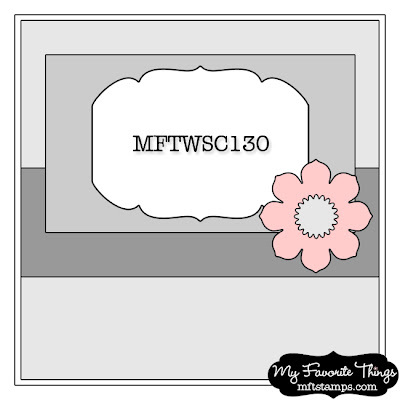 Check out the MFT Blog for all the masculine card ideas.